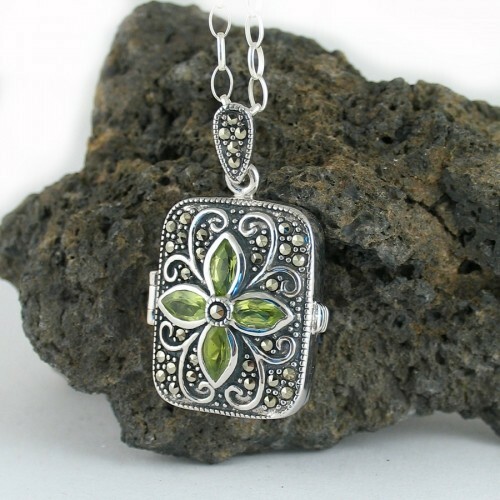 This unique locket is set with 4 faceted peridot petals. The design work on the locket reminds one of antique grillwork on Victorian fencing. 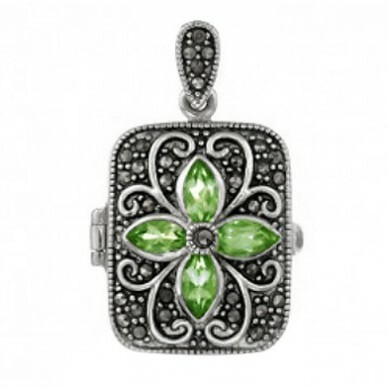 The hand set marcasite stones have an enigmatic glitter and help create a charming locket pendant that will be worthy of adoration. 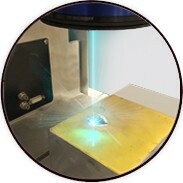 It can hold two photos- sorry engraving is not available on this pendant. We have paired it with our own 24" chain that allows it to hang at just the right length for this large a locket. Gift Boxed. 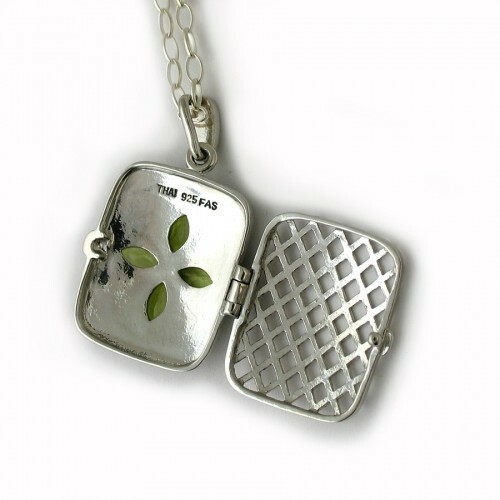 The design work on the locket reminds one of antique grill work on Victorian fencing.